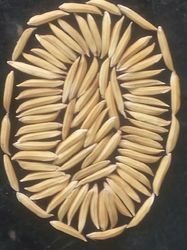 RICE SEEDSProminent Leading Manufacturer from Hyderabad, we offer Hybrid Rice Seed, Basmati Rice Seeds, 1121 Basmati Rice Seeds, Paddy Seed and Basmati Seeds. Paddy Basmati and Pusa 1121:- The Harvesting time is from 15th October to 30 November and is purchased on very large scale and the rice of this paddy is very popular worldwide. 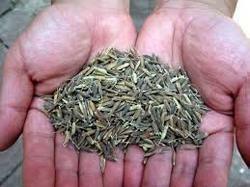 We are actively engaged in offering high quality Rice Seeds to our valued clients. Acknowledged for its nutritive value and natural taste, this rice offered by us is widely in demand in the market. In addition to this, we have been able to fulfill the voluminous demands due to our superb transportation facility. Good monsoon and the consequent record foodgrain output have brought cheers to the policy planners in the Krishi Bhavan. The euphoria may not last long considering the foodgrain requirement of 230-240 million tonnes when the population is now exceeding the billion mark. We process and supply all major demand paddy seeds to all over India. We would like to introduce our company caprycorn imports & exports based in india.